Dirty Beasts is a collection of hilarious animal rhymes from Roald Dahl. A collection of (mainly) grisly beasts out for human blood, ranging from Gocky-Wock the crocodile to Sting-A-Ling the scorpion. 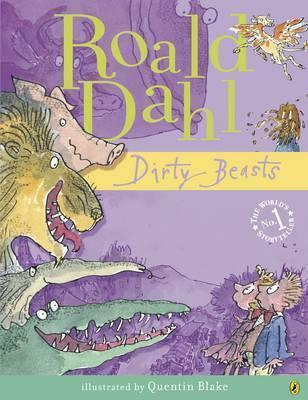 Described in verse with all Dahl's usual gusto and illustrated in suitably lurid style by Quentin Blake. "A true genius...Roald Dahl is my hero". (David Walliams).